The Catalina 42 is a proven world travelling bluewater cruising yacht, and this owners version C42 Mk II will provide years of enjoyment for the whole family. Impressive speed under sail (and power), easy motion and sure, predictable handling characteristics. The step-down walkthrough (with removable skippers' seat) boarding platform has a fold-down swim ladder and two storage lockers that double as seats. Great deck layout with one of the largest entertaining cockpits of a boat this size; easily sailed with updated sails, rigging and covers. This one has the classic lead wing keel (draft 1.47m, 3765 kgs of lead ballast) and is powered by a reliable 50 hp Yanmar four-cylinder diesel (professionally serviced) with three blade folding propeller. Inventory includes Chartplotter, radar, autopilot, excellent ground tackle with electric anchor winch, two spacious cabins with two heads- interior finished in quality Catalina teak timberwork. For more information or inspection by appointment on Lake Macquarie phone owners' exclusive agent RAMYB on 02 49505706. Yanmar four cylinder 50hp shaft drive diesel with Auto three blade folding propeller. Two cabin Pullman owners' layout. V berth forward with head and shower, nav to stbd in main saloon, galley to port, fold down dinette/main table in saloon; head/shower to stbd, double cabin aft to stbd. 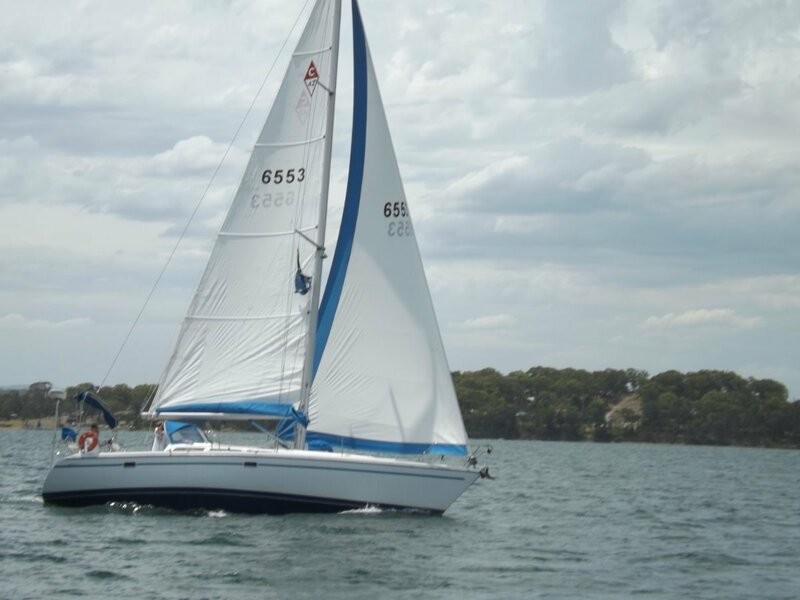 Available now for inspection on Lake Macquarie. Phone Catalina consultant and broker Rod Mackay on 0419633345 to arrange an inspection.